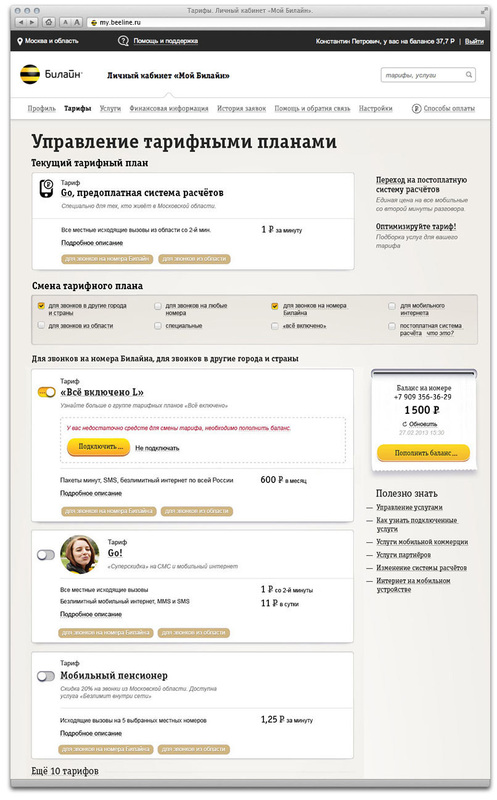 Task: to design account pages layouts for the Beeline website. In My Account section on the Beeline website, clients can manage their numbers and link other users’ numbers to their account. 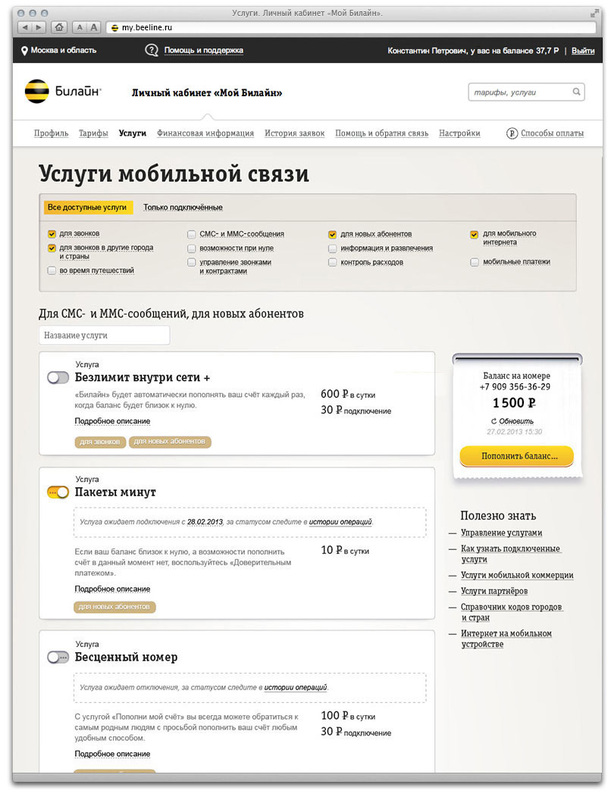 On the main page, a user gets complete information about the balance, overdraft, bills, etc. 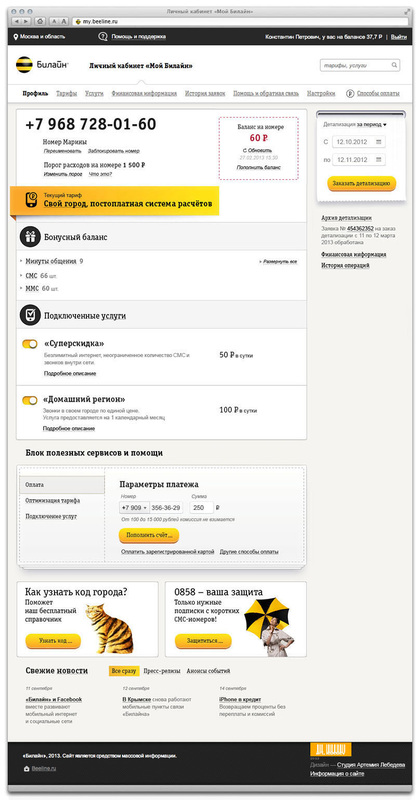 In plan management section, a user can view the current service plan and change it. Services section allows users to reduce cell phone costs by adding or removing optional services. 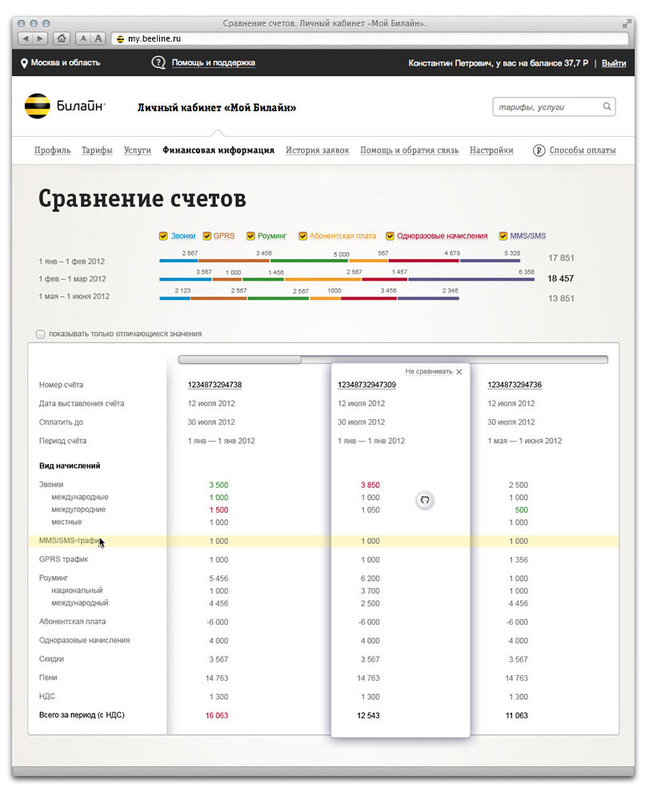 Users can access information on bills and payments and compare it.